MicroSummary: Have you ever dreamt of a better life? Unlimited Power will show you how to achieve the quality of life you have always wanted. Anthony Robbins has proven to millions of people, through his books, videos, and seminars that, using the power of your mind, you can do, have and achieve anything in your life. Unlimited Power is one of our favorite titles here at 12 ‘. Tony is the man;) In this micro-book, we’ll show you, step by step, how to achieve your maximum performance as you gain financial, emotional freedom and develop your self-confidence and leadership. Unlimited Power is a guide to increase your performance and achieve success. Let’s dive into this microbook together? The modern world has its hands wrapped around our happiness, whether we are aware of this or not. 9/10 people will quickly agree with the fact, that nowadays it’s much more difficult to maintain a perfect balance between the inner and outer world. This book summary presents several types that can be used in order to help us preserve our inner peace while conquering the world!!! Who Should Read “Unlimited Power”? And Why? This classic is an easy-digestible self-help guide that shares a visionary approach and a new mindset. It allows everyone to see the difference between success and failure. The author emphasizes the importance of proper communication skills as a tool for building bonds and managing stressful situations. As such this book comes highly recommended for people from 18 to 65 years of age due to various reasons – all presented in this one of a kind – material. 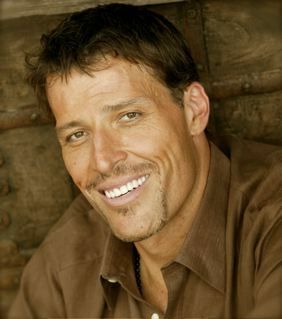 Anthony Robbins is a motivational speaker, consultant, life coach, and expert in leadership born on February 29, 1960, in California. His words touched thousands of hearts, thereby transforming the lives of people with just a soft word. He has written several best-sellers like Awaken the Giant Within, Money, etc. What a person can achieve with the right approach driven by dedication and passion, is beyond words. It’s not a cliché to say that your mindset defines the limits. Otherwise, they aren’t just there. “Unlimited power“ connotes those revamping processes and procedures that are contemplating your next move. In fact, some of us, are still in that place where it’s a priority to stick around concepts and useless thinking patterns. Success is forged in the fires of struggle; the desired outcome is something you need to work for, not just attain it at a discounted price. Whether we see it or not, “Unlimited Power” gives credence linked to prosperity and professionalism. Satisfying your needs often comes as a result of fulfilling the ones of others – a phrase of vital importance, but of low interest among the people. We are always self-centered, absent passion for serving others and protecting their interest. Nevertheless, now you have the chance to redeem yourself, armed with self-knowledge and motivation to continue. Human interaction act as a merger in order to improve the organizational efficiency. As far as Robbins is concerned, there are two fundamental forms of communication: external and internal. First and foremost, the external dialogue is easy to understand, because it spreads the fragrance of freedom by allowing interaction to take place in numerous ways. For instance, this type involves facial expressions, body language in all forms, words, tones, etc. The “outside success” fairly depends on your ability to communicate with the world. In other words, it indicates how well you can share your thoughts and in what way. The second, more subtle aspect of interaction emerges from the very center of our existence – mind. The intimate way of interacting has a task to create self-respect for any separate entity. It allows you to combine the inner dialogue with images, feelings and other phenomena that occur in the vast space of human awareness. Lots and lots of emotions are an integral part of the group as well, targeted towards the same outcome to improve the communication that has a pivotal role in our lives. The business world governed by cutting-edge technologies stands behind and promotes the importance of external interaction, and to some extent totally discrediting the internal one. Before you embark upon a journey to “conquer” the world, you have to handle things troubling you from within. Dealing with these emotional states is a ticket to joy – in the external world. The transformation from misery to passion is indeed explained by Anthony Robbins – transparently. You are the only thing standing in the way of that prosperity and happiness!! – Don’t forget that. Probably by now, Anthony Robbins has touched your heart and mind. Although that’s not enough, it’s a good start to eliminate all those restrictions that the society created. Many people out of fear, despair, or low self-esteem are prone to fall under the influence of destructive concepts. “Unlimited Power” spreads beyond the boundaries of mind influence and showcases how to manipulate these processes in order to gain an advantage. The path to success is not an easy one, but you don’t have any other choice. Apparently, a person can stick to its “averageness” running away from risk, in order to find stability and happiness. This paradox is hardly ever fruitful because the path to success often illustrates a battle, it’s a symbol of uncertainty, and courage to go through that process. According to many standards, including ours, eliminating bad habits is the key to reaching this outcome. Confront all those things that keep telling you in some way, that you are not worthy of experiencing joy on all levels! Many people complain that they lack the ability to control all those feelings, and sensations. According to their beliefs, these “things” appear spontaneously and stay forever. Don’t get deceived by your own mind once again, of course; you can take the driving seat and decide with “what and whom” are you willing to share your company. The attitude that you will not be living on the verge of uncertainty is a guarantee that no longer, a person is at the mercy of its inner state. The internal dialogue is designed to serve under your command, not vice versa. This book is overflowed with ideas and tools that can indeed take you to the next level. Our small advice is that you read this book slowly, to really digest the material and implement it in your daily life. To have power is simply to have the “ability to act”. From the earliest days, power has been a commodity of exchange. Power was originally given to those who were physically stronger. Over time, it was given to those who possessed a special heritage through royalty. Nowadays, those who have valuable knowledge have greater power. People who have achieved excellence follow the formula of success: they know exactly what they want and take action to achieve what they want. Also, they quickly notice whether their attitude is working or not and can change their approach when necessary to achieve their goals. These people have some characteristics in common: passion, beliefs, strategy, well-defined values, energy, and mastery of communication. Success can be defined simply as “achieving what you want”. The differential of a successful person lies in their ability to control their physical, mental and emotional states, regardless of circumstances. Tony then introduces readers to the science of Neuro-Linguistic Programming, which studies the structure of an individual’s subjective experiences and provides instructions on how to change that experience to allow the individual to have more power over his own life. This science is the key for you to be able to emulate the results of successful people through a process called modeling. If you want to produce results identical to those achieved by people you admire, you must have three fundamental ingredients equal to theirs: the belief system, the mental syntax, and the physiology. A state is the sum of all the experiences of a person at a given moment in time and has two components: internal representation and physiology. The state of a person conducts their behaviors at every moment. Neuro-Linguistic Programming (NLP) empowers the individual to control their own states and consequently their own patterns of behavior, thus helping them to produce the desired results. A belief is any principle that provides a sense of certainty about the meaning and direction of life. There are five general sources of references on which beliefs are based: the environment, past events, knowledge, past results, and the imagination of future events. The cycle of success can be represented by beliefs, which lead to potential, leading to attitudes, and ultimately to results and then repeating itself from there. All our beliefs are subjective, and you never know if your beliefs are really true or not. That’s why Tony introduces us to the 7 fundamental beliefs or 7 lies that you need to believe to succeed. The word lies in this context does not mean “something false”. Everything happens with a purpose or reason, which works in my favor: successful people usually think of possibilities. They believe that even their failures or adversities will serve as a future benefit. There are no failures; there are results: failure does not exist for successful people. If something goes wrong, it will generate feedback for future experiences. Take responsibility regardless of what happens: successful people know that they are responsible for their own actions. When you do not believe it, you will be dependent on the circumstances. By taking on your responsibility, you have the power to change the results. I do not need to understand everything to be able to use everything: successful people learn to use the essentials without being drawn to details. They are very good at differentiating what is meaningful from what is not. People are my greatest resource: successful people respect and value others. The best leaders recognize that the success of their business depends on their people. To work is to have fun: the key to success is to unite what you do with what you love. Do not waste your life doing things you hate. There is no lasting success without commitment: successful people are willing to do whatever it takes – without hurting others. Do not make excuses, make appointments, and finish what you started. If you turn these “lies” into beliefs, you are programming yourself to take action and become more successful. The traditional school of psychology treats the brain as a reservoir full of emotional fluid and assumes that if the reservoir is not emptied regularly, it will overflow. The Neuro-Linguistic Programming model treats the brain as a computer, which runs different programs at different times and assumes that the individual can choose which programs to run and even erase or rewrite them using their conscious power. The structure of human experience is based on the five senses of the human being: vision, hearing, smell, taste, and touch. Each of these senses is made up of subsystems, such as color and brightness for vision, and volume and frequency of hearing. The power of adverse events of the past over one’s state can be reduced or even eliminated by modifying the representation of the internal senses ones of these events, such as by changing color or frequency. Other important concepts are those of association and dissociation. Association occurs when an individual has an experience with the internal representations of past events as if he were in his body again. In contrast, dissociation happens when an individual has an experience with the internal representations of past events as if he were watching from outside his body. The exchange pattern is a mental tool that helps make behavioral changes more automatic and consistent. The pattern of change can be realized in three practical steps: first, an internal and associated representation of the behavior to be changed, including the pain that is caused by this behavior, must be formed. Then it is necessary to form a separate representation of the new desired behavior, including the pleasure you will feel for this new behavior. And, finally, you must change these two figures in your mind so that the old behavior automatically activates the new behavior. This method is called the Swish pattern. If you want to learn more about the Swish standard, we suggest reading the article “The Swish Technique”. The syntax or strategy refers to the order in which actions are taken in a given behavior, just as in a computer program. It is the sequence of steps to arrive at a definite result. Therefore, copying another person’s strategy allows you also to replicate their results. Different people have different strategies for achieving states of love, anger, happiness, and persuasion. Knowing someone’s strategy is vital to emulating or even changing it. And people’s plans are always connected to their 5 senses, their previous experiences, and their inner and outer perceptions. However, there are 3 senses that are called primary systems and that receive greater weight in communication. They are vision, hearing, and touch. When communicating with another person, it is very helpful to use the primary senses for best results. The connection between mind and body allows people to change their physiology to change the way others feel. Posture, breathing rate, and other factors can be changed to improve your mental state, your health and the attitudes of the people around you. 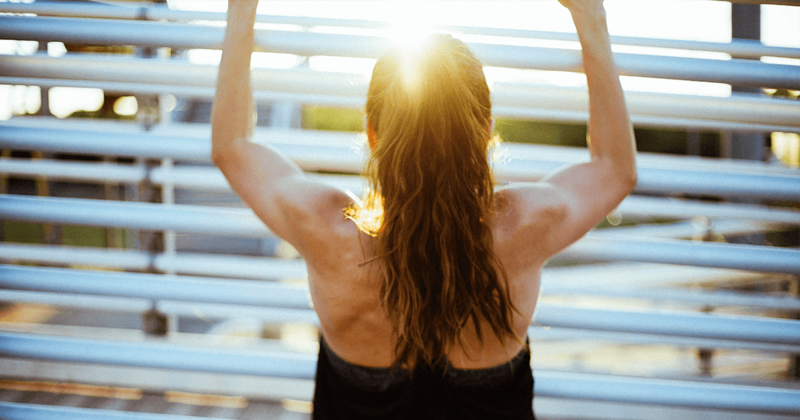 The connection between mind and body is important for the growth of personal power. Imitating a particular state from another person allows you to share the experiences of that state. Make sure the goal is even desirable: your goal should bring you clear benefits. Also make a list of all the things you have now and that have already been goals in the past, always to feel grateful. The more you practice, the easier it will be to be clear about your goals and how to achieve them. Keeping yourself focused on your goals will help you make them come true. Accurate language has the power to move people to useful directions, while careless language can mislead. To achieve everything you want, ask! Ask specific things to people who can help you and create value for the person you are asking. Keep a focus on your questions and do not stop asking until you achieve what you want by using the Formula for success. Focus on asking ‘how‘ instead of ‘why’. Focus on how to solve the problem instead of just understanding why the problem exists. When communicating with others, to be harmonious, you need to focus on the similarities with the other person. The more people are similar to each other, the more they will like each other. 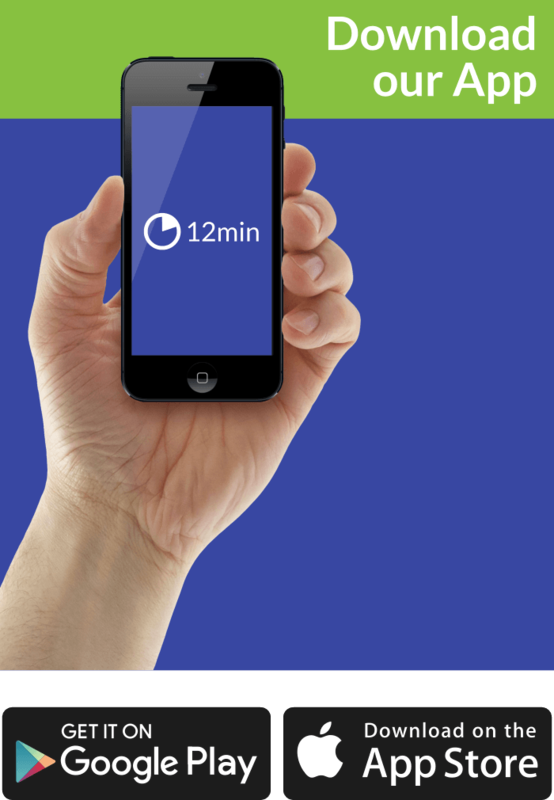 Identifying and combining with another person’s physiology, color, and preferred representation system during an interaction, creates a connection in minutes. That happens because communication between these people is usually transmitted 55% by physiology, 38% by the tone and only 7% by words themselves. Sharp observation and personal flexibility are the two keys to mutual identification. The most effective leaders create a connection with the masses using all three systems of representation with a sense of unity. Once you have established a rhythm of conversation with another person, you can begin to lead it by initiating a change rather than just identifying with it. A metaprogram is a robust internal standard that helps determine how a person shapes his internal representations and directs his behaviors. They help dictate the order of essential data based on context or stress. Among the most common metaprograms are: moving in the same direction instead of moving in the opposite direction, possibility versus need, independent working style, near or in team, emotional vs. logical thinking. There are two ways to change the metaprogram: a significant emotional event or a conscious decision to change. Metaprograms can be used as tools to gauge and guide your communication with others and implement a personal change. Being flexible is essential for effective communication. Avoid showing resistance to others, so they stay involved in what you are saying and be more open to new ideas. Also, avoid negative words such as “but” or “meanwhile” as this helps to eliminate the resistance of others in communication. Use concordances such as “I respect and …”, “I thank you and …” or “I agree and …”, that will allow you to disagree with those who have different points of view without creating resistance or compromising their values or beliefs. This process helps you redirect force instead of trying to overcome it. It is also important to say that people often fall into patterns of destructive and negative behavior. Interrupting these patterns with a totally unexpected action can have long-lasting effects and erase this pattern of behavior by replacing it with a powerful new standard. Changing the frame of reference used to perceive the experience can help turn a negative experience into a positive one. It can be changed using context or content. The process of shifting from undesirable behaviors to desirable behaviors can happen by identifying the pattern or behavior you want to change. Then, establishing a communication with your unconscious that generates that behavior, separating intention from behavior, creating alternative behaviors to satisfy intention. Doing that, so his new choices and responsibilities are accepted and, finally, checking all the parts. Have you ever been to someone’s house when they were cooking and realized that the fragrance took you back to your childhood memories at your grandmother’s house? If so, this is the anchoring process. Anchoring is the phenomenon of creating associations between separate elements that did not previously exist. It occurs naturally among humans, but NLP also teaches us how to create our own anchors. A new anchor is created through a sensory stimulus that associates specific states. An anchor can be linked to positive and negative states. You anchor all the time, usually on an unconscious level and so it is essential to analyze your positive and negative anchorages in life. You can improve each negative experience and make the best use of positive anchors. Values are a person’s global belief systems. They tell her what is right and wrong, good or bad, whether something is important or not. To know what a value means to a person, it is necessary to know what that person did to create that value in their program, what experience has led to the formation of that value. Besides, some values are more important than others. Would you rather be “Catholic” or “skeptic”, for example? Each person has their fundamental values and other secondary values. When a list of a person’s values is created and sorted by importance, the result is the hierarchy of values. To promote harmonious relationships, seek not only common values but the most important and fundamental values of a person. Another important point is that a person’s values usually change over time. That is why you need to maintain the flexibility to keep your values congruent and in harmony with each other, so there is no conflict. 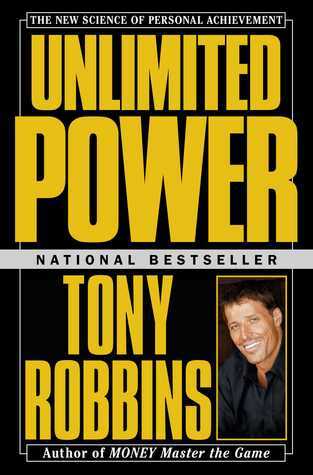 In Unlimited Power, Tony Robbins tells us how to achieve results using our personal power, through some fundamental concepts of neuro-linguistic programming. For him, when you understand and apply these thoughts, you can change yourself and others around you.